It happens that your blog may contain some old posts that may have been forgotten and deep hiding in your site, this Advanced Random Post widget is sure to keep the readers busy and it also helps with navigation to deep forgotten quality posts which means that your blog readers will be able to find content more easily without doing any hard searches in your blog. 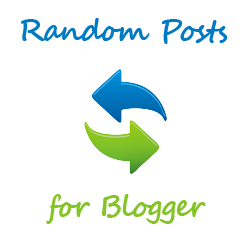 I want to give you an awesome random posts widget that will work well with your blog and help increasing those page views . Step 1 - Go to Blogger dashboard and select the blog that you want the widget to appear. Step 3 - A content box will appear and you must paste the code below on the Content box . Step 4 - Click save and the widget will appear on your site. It might happen that you are not happy with some parts of the widget which will require you to do some customisation in order to make it work the way you want it. The image dimensions of this widget are 75px by default but you can change them to a way that suites you best. This widget is simply the best and if it happens that you have any quedtions please feel free to as in the comments box.